United States federal law prohibits gender-based pay discrimination. Unfortunately, as is extensively covered by media outlets, violations are not only hard to prove, but wage gaps exist in nearly every industry, including the Information Technology (IT) sector, where men have a higher percentage of jobs than women. According to the United States Census Bureau, women are paid 79 cents for every dollar that men earn. In light of this discrimination, Massachusetts recently became the first state to ban employers from asking about an applicant’s salary before making a job offer. 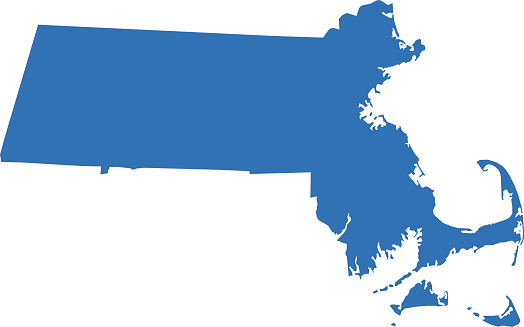 What Does The Massachusetts Law Entail? The new law changes the interview process by requiring the hiring manager to state a compensation figure upfront. Previously, hiring managers would have been allowed to inquire about an applicant’s previous compensation, and they used this information to influence their offer. The latter scenario was determined to be a contributing factor toward the wage gap that exists between men and women. To further reduce the wage gap, Republican Governor Charlie Baker signed the new law with the hope that it would become a model for other states. The new Massachusetts law will go into effect in July 2018. In addition to prohibiting hiring managers from inquiring about previous compensation, the law won’t allow companies to prohibit their workers from discussing salaries. This additional component is designed to increase salary transparency, which will help employees discover wage disparities. Finally, the new law will require companies to deliver equal pay to workers whose jobs are alike, as well as those employees whose work is of “comparable character,” or who work in “comparable operations.” In essence, the new law aims to deliver a broader definition of what is equal work, so that the wage gap between men and women in similar positions can be reduced. How Will Businesses Adapt to the New Law? The new Massachusetts law arrives at a time when businesses seem to be large supporters of equal pay laws. According to state representative Ellen Story, when the Greater Boston Chamber of Commerce backed the bill, it: “Really set the tone. Now it wasn’t just members of the women’s caucus, it was business leaders, too, asking for this.” In fact, as businesses continue to talk more openly about the findings of audits, experts predict that industries will continue to seek equal pay amongst employees. In the technology sector, Salesforce recently stated that it spent $3 million in 2015 to further raise the salaries of its female employees. Other nationwide employers, including American Airlines, Pepsi and Gap, signed the Equal Pay Pledge in June 2016. This pledge was promoted by the current White House Administration and encourages companies to conduct pay audits by gender across each job category. In addition to the latter pledge, other technology companies are working diligently to diversify their workforce. In a recent report, Intel revealed that it had pledged $300 million to build a more diverse workforce. In an effort to swell their pipeline of qualified women and minorities, Apple recently donated a reported $50 million to the Thurgood Marshall College Fund and the National Center for Women and Information Technology. As businesses within the IT sector and other industries continue to make changes to diversify their workforce, lawmakers are hopeful that other states will follow Massachusetts’ lead by creating new laws that focus on wage equality between men and women.